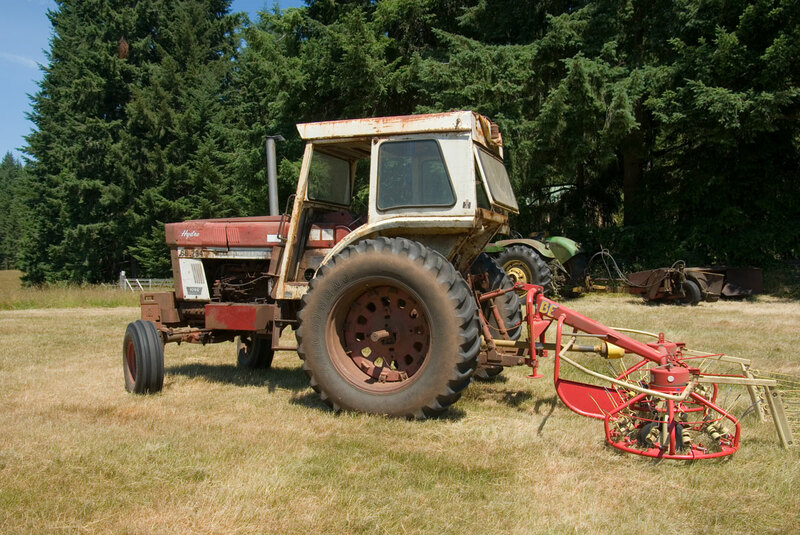 From the 19th century hayrakes were ground powered, but late in the 20th century hayrakes finally moved away from designs that dated back to days when they were pulled with a team, and recognized that with the advent of a PTO, rakes could be much more creative than they could be if they were ground powered. Thus now you don't see a lot of new 'side delivery rakes', but rather you see fairly creative things that often take a bit of study to figure out how they work, but many are faster, lighter and cheaper than a classic side delivery rake. The rake shown here is one such lighter, cheaper, contraptions. 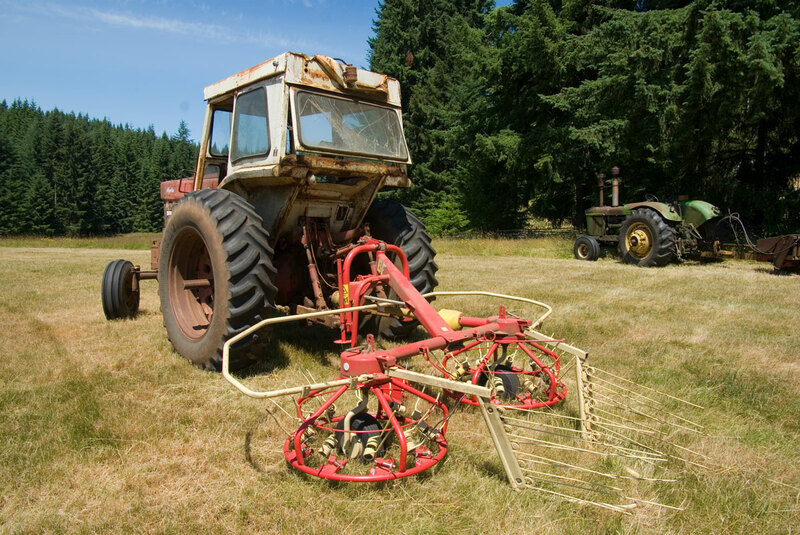 Driven by the PTO and mounted on the 3 point hitch, the teeth seen sticking up here, when the wheels spin, fold into raking position on centrificul force, and discharge the hay between the two guide racks behind the tractor. It's shown here mounted on a Farmall 1066, but the rake is light and would work on a very modest size tractor. This is just the tractor we happen to have.